The first rule of throwing a party is to actually enjoy the party. We've all been in your shoes--gotten a little over-ambitious, wanted to show off a little too much and impress the guests with made-to-order cocktails. Here's the thing: Guests will be more impressed if you have a made-ahead bar spread that frees you up to spend time with them. The secret is to make a signature big-batch, pre-mixed cocktail. It's the most wonderful time of the year. No it isn't. Not for bartenders cleaning up the sprays of joviality. A long trail follows curious Steven, long sheets of bad luck. He's been in many a sticky situation. He picked up a brown paper bag from the shade in the alley behind the dive. What's in here? he inquired. A used hypo-needle that pricked his finger, that's what. Condoms on the bar floor everywhere. An Irish tourist is blowing them up like balloons, while his mate makes armpit farts and I think of James Joyce and how he liked to talk dirty about his wife's gas leaks. What Does it Really Take to get a Bartender to Hate you? Bartender's are a hardy breed, who, safe behind the polished mahogany, genuinely believe they are immune to anything the customer can throw at them, only to learn that we've been evolving. 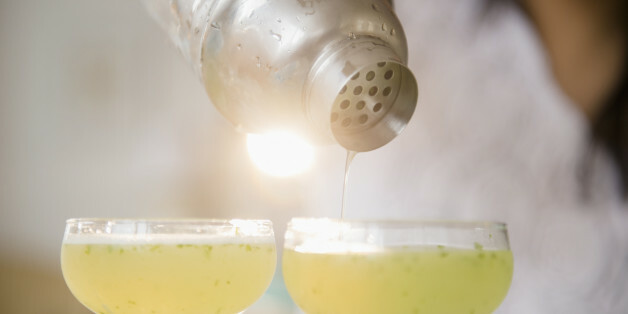 "What bartenders geek out about takes years to trickle down to the consumer," says Brad Thomas Parsons, the author of Bitters: A Spirited History of a Classic Cure-All. Here, the best bartender-made secret ingredients to buy. But who can sleep? Not Mac, who helps sweep up at closing. He lives in a hotel with cockroaches and other bugs that go crawly in the night. On to his chest. He sleeps with cotton wool in his ears. Work is hard, but there are certain jobs that may require a little more grit than others. Those that can successfully navigate through these professions will come out with an exceptional work ethic that can set them up for success anywhere. The pizza joint next door does a good slice of violence. An argument mushrooms. The cops on speed dial and paramedics export an unsatisfied customer to the hospital. Something about pepperoni, some kind of insult, I hear a metal pipe over the skull settled it. These days, the sun shows no mercy. And Shakespeare in the Park is on.